What Makes a Good Dog Park for Dog Walking? 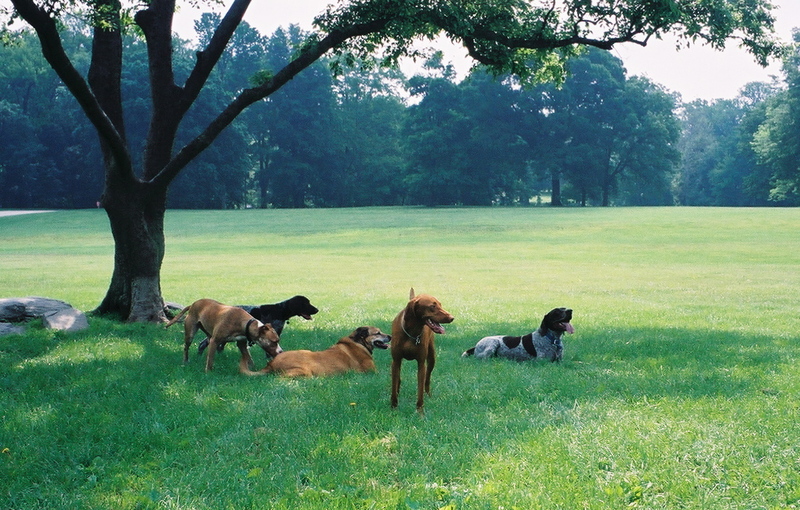 A dog park can be a wonderful place for dogs to socialize. However, some dog parks are better than others, and some dogs do better at dog parks than other dogs. To help you assess your local dog park, the Association of Pet Dog Trainers provides this information to help you decide if a particular dog park is the best option for your dog. Below are attributes which can make a dog park a good place to bring your dog or a place that has the potential for problems. Very few dog parks are perfect so consider your dog’s temperament along with the features of the dog park and make an informed decision about whether or not your dog will have an enjoyable time at the park! For more information on dog parks and other dog issues, check out the APDT web site. Materials for cleaning up after dogs (bags and garbage cans) -The ability to clean up after our dogs is essential for basic good health for both dogs and humans. Many canine diseases are spread through feces, and feces attract insects which can spread disease to humans. Cleaning up after your dog – particularly in urban areas – is a demonstration of good citizenship we should all practice. Drinking Water and shade — Dogs can’t cool themselves as efficiently as humans and therefore must have access to drinking water and shade. Dogs play very strenuously in dog parks and water is an absolute necessity – if there is no water available, it is very possible that dogs may suffer from heatstroke, which can be fatal. Additionally, there should be shady areas where dogs can lay down, cool themselves, and rest before continuing their strenuous play. Enough space to avoid crowding — If dogs become too crowded, it is much easier for a “bully” or a pack of dogs to corner and harass another dog. Fights tend to break out more often under crowded conditions. Separate entrance and exit gates if fenced — Separate entrance and exit gates allow dogs to come and go without meeting each other in a cramped area. Dog fights often break out when one or more dogs feel threatened yet have no way to remove themselves from the threat. Additionally, when two people attempt to get their dogs in and out of the gate, they are not focused on the dogs running loose in the dog park, and there is the potential for a dog to escape. Entrances and exits with a two-gate system so dogs can’t escape from the park accidentally — Parks with a two-gate system avoid the possibility of dogs escaping from the park, increasing the safety of all the dogs. Natural visual barriers within the park (hills, trees, etc.) — Not only do natural visual barriers create a more enjoyable environment for both dogs and humans, but they also offer dogs a way to avoid problems. If a dog feels he is being targeted by a bully or pack, he can remove himself to a location where the bullying dog(s) cannot see him and they will quickly forget about him and move on to other activities. REALLY EXCEPTIONAL PARKS HAVE ALL OF THE “DECENT,” MOST OF THE “GOOD,” AND SOME OF THE EXCEPTIONAL ITEMS. No 90 degree angles in the fence — Fences which have 90 degree angles allow dogs to corner other dogs and bully or attack them. Fencing without a 90 degree angle makes it easier for a dog to escape. Several entrance and exit gates if park is fenced — If there is only one entrance and exit gate, or one entrance and one exit gate, the dogs in the park quickly learn where newcomers will enter. They then congregate at the entrance which can result in fights or dogs escaping from the park. If there are several ways for dogs to come in and out, they will not target a particular gate. Special enclosed areas for smaller dogs; e.g., under 20 lbs. — It can be very dangerous to take a small dog to a park frequented by large dogs. The large dogs may not mean to hurt the smaller dogs, but they can play too rough, or they may see the small dog as a prey animal and pick it up and shake it, which can be fatal. Exceptional dog parks have an enclosed area specifically for small dogs. This keeps them safe, yet still allows them to socialize which is especially important for smaller dogs. Fun stuff (agility equipment, etc.) — A park that provides equipment for dogs to practice their natural skills is an exceptional park. Having some basic agility equipment – although the park should not have equipment that might pose a safety problem if the owner and dog have not been trained – is a fun way for dogs and owners to interact together. It also shows that the park is aware of what dogs and owners enjoy and seeks to enhance their experience. This entry was posted in dog park, Dog Walking, Fun Stuff, Information and tagged #YourHound_SA, Dog walking, fun, Happy Dogs, Johannesburg, Parks, Swimming Dogs. Bookmark the permalink.